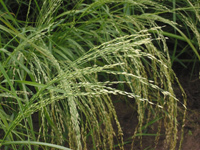 Awesome quality oat hay now available @ R2500 per ton/R50 per bale plus vat. Link transport to your yard can be arranged per quotation. Lucerne-Link are National Lucerne Trust registered suppliers of South African export quality lucerne. 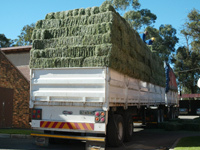 The bulk supply of South Africa’s finest fodder has been our forte over many years. We specialise in link loads from the premier farming areas to racing yards, stable yards, dairy farms, stud farms and private owners of livestock. Having served horse owners and the equestrian elite over a generation, we have now expanded to countrywide representation in South Africa and the export of lucerne abroad. With bases in the Summerveld area of KwaZulu Natal, Paarl in the Western Cape, and Bloemfontein in the Free State, we are able to offer un unrivalled service in the quality control and supply of lucerne (alfalfa hay), teff, oat hay, eragrostis, and other fodder products. The management, logistics, sourcing and delivery of bulk loads of fodder has led to countrywide growth of our services over the years. We have a vast network of trustworthy famers on our data base, most of whom we have visited personally, and we have a bigger network of customers throughout the country, who know and are assured that they can depend on our trusted service. Copyright © 2019 Lucerne-Link. All rights reserved.